Japan has unveiled a ‘Supreme’ prototype version of its 186 mph Shinkansen bullet train which features a sharper nose profile, power sockets for every seat, and light-up luggage racks. According to Japanese publication Asahi, Central Japan Railway’s N700S series trains are due to debut in 2020, on the Tokaido Shinkansen line, which runs between Tokyo and Shin-Osaka. The trains are embellished with a large gold ‘S’ that stands for Supreme, and test runs are due to begin this month. 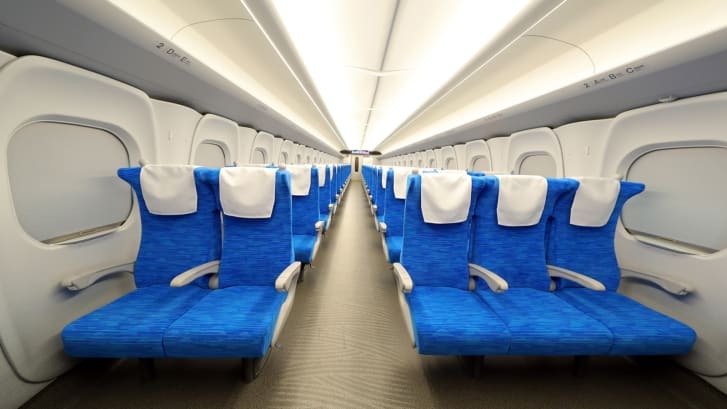 The seats have also been upgraded with a new fabric and the ability to recline even further with 15 percent more legroom (at least for those who purchase first class tickets). 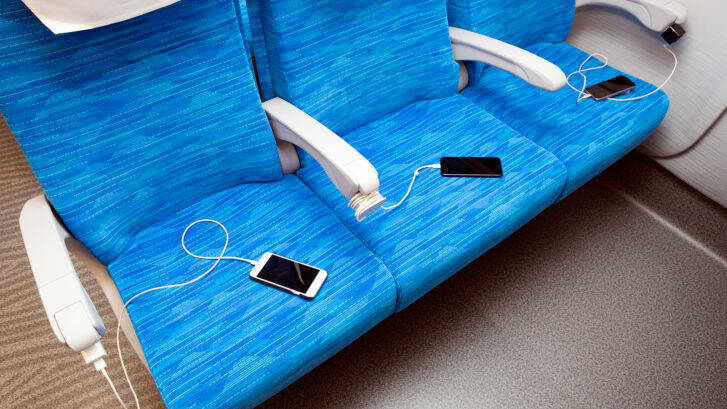 Seats now contain power sockets for every passenger, rather than just those lucky enough to nab a window seat, and lights automatically illuminate the overhead luggage rack at each stop to help passengers find their belongings. The train is made up of 16 cars — two driving cars and 14 commuter ones, and is able to accommodate a total of 1,323 passengers. As Railway Gazette notes, the nose has been redesigned to have a modified ‘dual supreme wing type’ profile, which will reportedly improve airflow and reduce a sonic boom effect while the train is moving through tunnels. 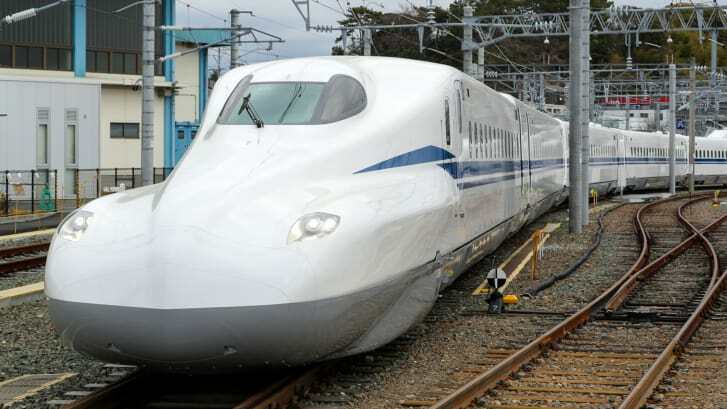 The Supreme train will be able to travel at 177 mph (285 kmph) on the Tokaido Shinkansen line and at 186 mph (300 kmph) on the Sanyo Shinkansen line, which is just as fast as previous trains. 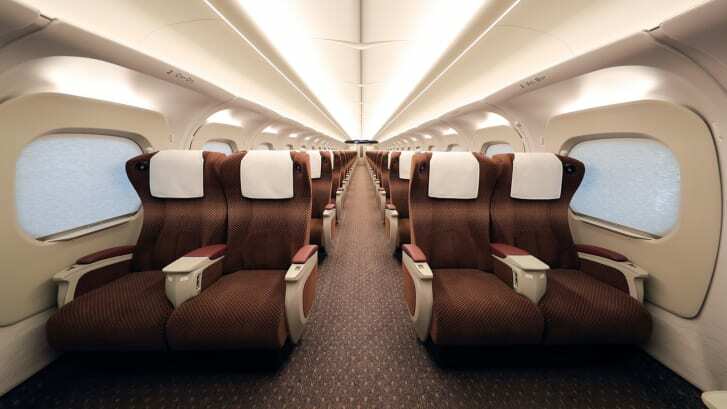 “The (N700S series) has been completely redesigned through renovating main facilities and equipment,” Masayuki Ueno, deputy director-general of JR Tokai’s Shinkansen Operations Division told Asahi. 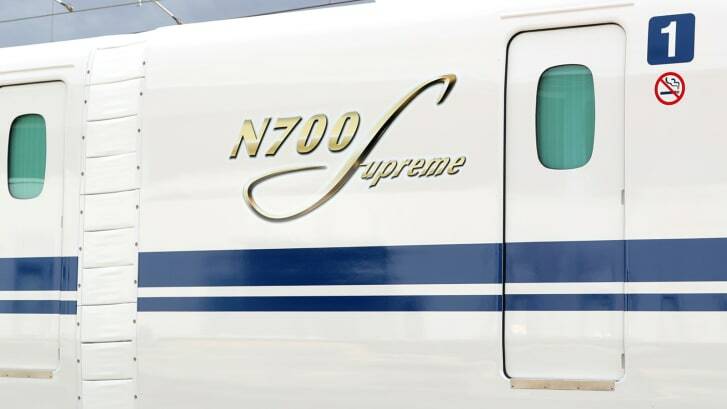 “We have produced a train that can symbolize a new era for the Tokaido Shinkansen Line.” Though described as a “complete redesign,” it’s important to point out that the N700S still retains design iterations from previous generation trains including the 700, N700, and N700A. The new generation train allows for different layouts including an 8-car or 12-car train rather than the usual 16-cars, so transportation authorities can change the configuration based on need. In comparison to the N700A trains, the weight of the 16-car train has been reduced by about 20 percent, or over 11 tons, and its energy consumption has been cut by 7 percent. The new train is due to start taking passengers in 2020, just in time for the Tokyo Olympic Games.